A basic prerequisite for building a financial statement model (also called a 3-statement model) is access to company filings that contain historical financial data. In the United States, for example, public companies are required to make SEC filings including an annual report (10K) and 3 quarterly (10Q) reports each year. In other countries, reporting requirements vary. Most countries will require at least an annual report. Some will require an interim filing (a report in the middle of the company's fiscal year). Regrettably, only a few countries make company filings easily accessible through a central database. This forces analysts to rely on expensive financial data providers or to dig through company websites for the data. The most comprehensive, easiest to use and well known such database is SEC's EDGAR database in the United States. Through EDGAR, filings are available for free and provide filings in HTML and XBRL formats. Company submissions are typically incorporated the same day the data is received. The closest database to EDGAR in breadth and ease of use is Canada's SEDAR database. In the United Kingdom, the closest EDGAR equivalent is Companies House, where even private companies have to report their financial statements to the public. However, the filings in Companies House are stored as PDFs rather than HTML and XBRL, making searching inside filings a somewhat cumbersome task. Master financial modeling! 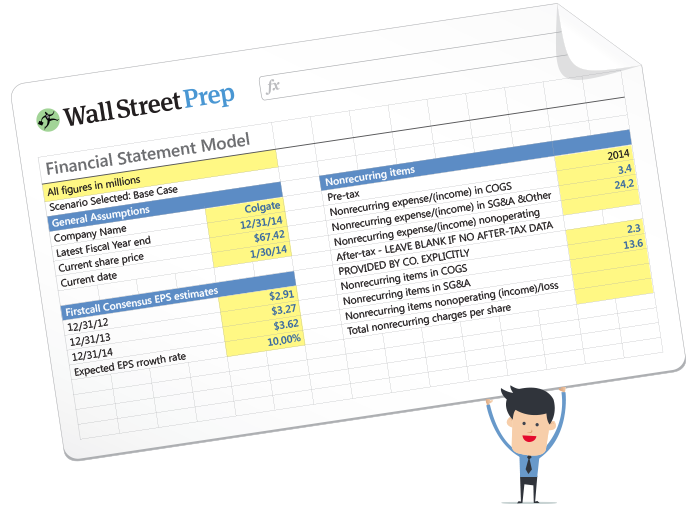 Used at top investment banks, Wall Street Prep's Premium Package will you set you apart in interviews and on the job.